Business and technology have long contributed to each other’s success. Technological developments have made doing business easier throughout the years, and business demands have driven tech creation. The world of credit cards may offer the best new development for both. Green used to be the color of money, and while technically it still is the color of money, it isn’t the color that businesses should expect to see. Money is plastic now. By 2017, more than three-fourths of all business transactions will be made with credit and debit cards. Only 23 percent of all point of sale purchases are expected to be made with cash. Businesses that want to stay alive absolutely must accept cards. Not adapting to accept credit cards is a sure way to kill a business. Customers are everywhere, as are businesses, these days. Take the quickly-growing food truck industry, for example. These hardy chefs and business owners can travel to whatever location suits them for that day, or that meal-time. However, they need to be able to accept payment for their delicious offerings. An easy technological advancement has provided the food truck owners with the opportunity to accept credit cards at any point they choose to stop and cook. Mobile credit processing lets an iPad, iPhone, tablet or other smartphone be turned into a device to process credit cards. One of the few restrictions is that there must be wireless service available at the location. 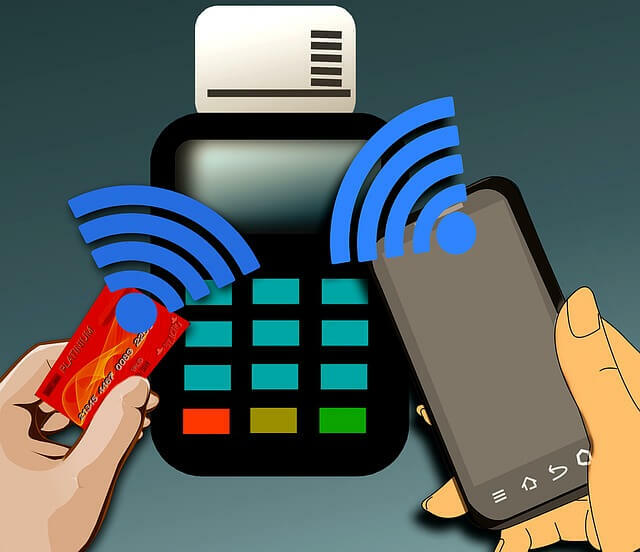 Instead of being tied down with a POS system, business owners can accept payment anywhere, as long as they have wireless service. Even retailers who aren’t on the go are choosing to use mobile devices to accept card payments. Old point-of-sale hardware was large and clunky and took up valuable retail space. Additionally, the old machines took training and have to be hooked up in a specific manner. Mobile devices are cheap and super easy to install and use. Even better, today’s employees, business owners and customers are used to using apps and other programs that are similar to used to accept payment via cards. Vendors and their employees, as well as their customers, don’t have to learn a new system. Customers won’t be impacted at all because they are used to using devices to pay with cards. Because no one is being required to adopt new behaviors, mobile payment is simple to implement. The creators and providers of the mobile devices and registers often also offer a consumer-side smartphone app. They also usually offer merchant services as well. Companies like this are poised to replace the older companies that used to just focus on simply helping merchants take payments via cards. The newer companies can help take payments, offer software for loyalty programs and, in some cases, show merchants how to parse online consumer data. They know how to help merchants succeed in today’s business world with today’s technology.